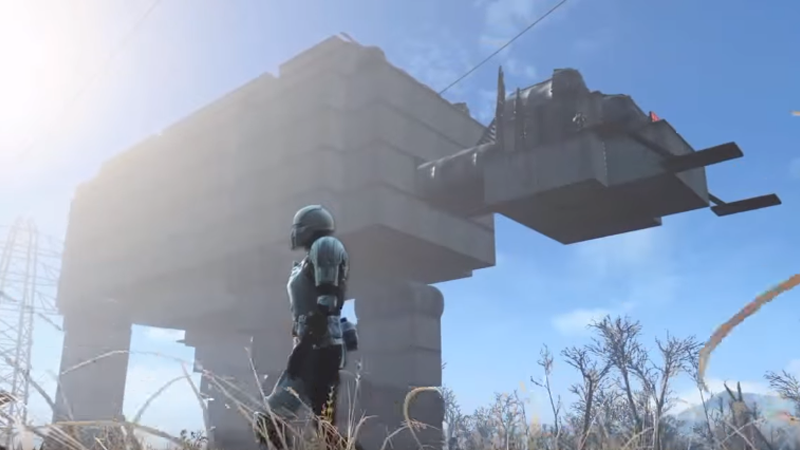 With the new Star Wars movie on the horizon YouTuber Ops_Specialist decided to create a giant AT-AT shack in Fallout 4. And it’s a comfy AT-AT filled with beds, instead of Snowtroopers. With those huge transmission towers in the distance, it really looks like one of those crazy Soviet-era monuments made of concrete. A perfect fit for the wasteland.